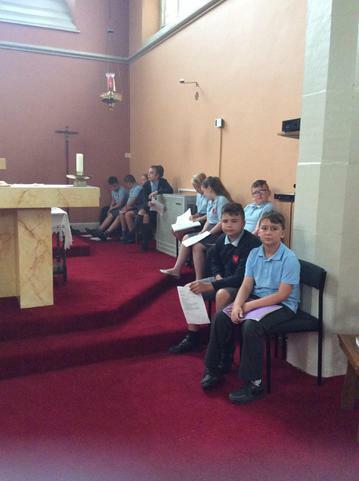 Today was our final Church visit at Sacred Heart - our Leaver's Mass. 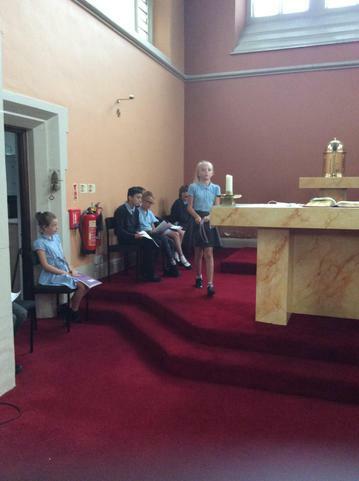 The whole school took part, which was led by us, who recited readings and prayers. 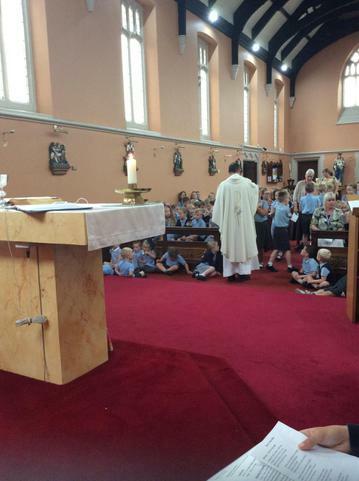 We celebrated our efforts and achievements not just throughout the year, but our whole time here at Sacred Heart. We then shared our favourite memories, pieces of work and achievements from our time here. We then learnt about Ramadan and Eid. During Ramadan, for one calendar month, Muslims fast during the hours of daylight, meaning they are not allowed to pass anything through the mouth while the sun is up. As well as fasting, they undertake extra prayers and worship, as a means to grow closer to Allah. On Monday, we were lucky enough to visit the EIS in Sheffield as a federation, for our annual sports day. We competed a plethora of spotring activities, some of which we would not usually get the chance to try! On Tuesday, we spent the day at the Millenium Galleries in Sheffield, looking at different pieces of artwork and sculptures relating to our Gallery Rebels topic. We were lucky enough to even have the chance to sculpt our own interpretations of relief sculptures. After our busy start to the week, we continued to be creative, by learning how to read and write music notation on a stave. We then applied our theoretical knowledge to a practical context! 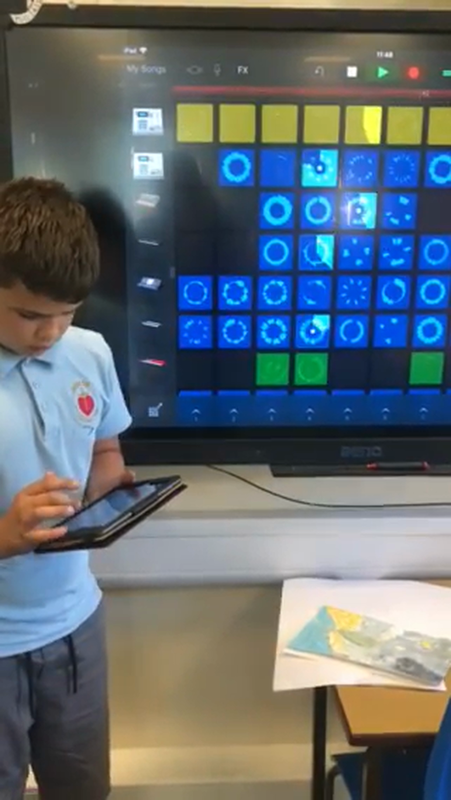 We used Garageband to use sampled recordings, loops and our own voiceovers to create and perform pieces of music. We loved exploring the different genres, from dubstep to rock! Class 5 have been really excited about the release of the latest Jurassic World film (Miss Lassu can only apologise to parents for that! ). Because of this, we decided to create our own hybrid dinosaurs in literacy; we must develop our persuasive skills so we can create iMovie advertisements, in order to earn a grant from the Isla Nubla laboratories to create them! We have decided the attributes our dinosaurs will have and which species we can combine to achieve this, before generating vocabulary to describe them. We then incorporated modal verbs and have begun to plan our advertisement script, which we will do on a green screen. In maths, we have been preparing for Year 7 by learning about linear algebra formulas. 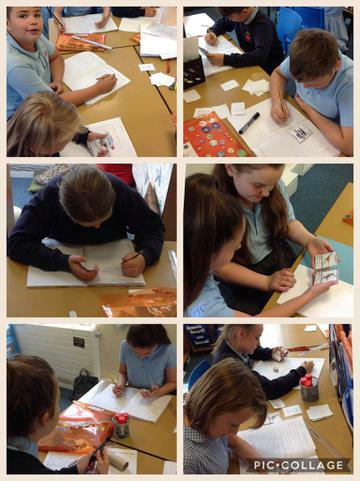 We have played dino top trumps - each attribute was a formula which we had to solve! Keep checking back to see how our dino advertisement project develops! 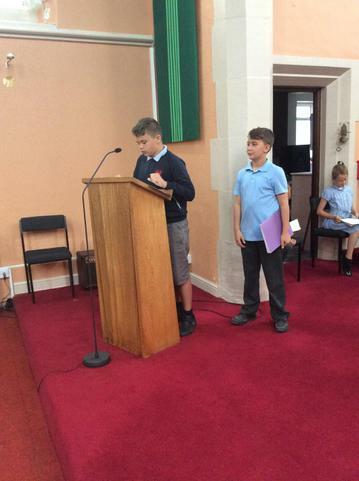 This week, as part of our new R.E topic 'Reconciliation' we have been learning about how Christians help those in need, such as the terminally ill. We researched Barnsley Hospice and learnt about all of the wonderful things they do - both for those who are ill and their most loved ones. We then used I.C.T to create our own informational or fund-raising posters for the hospice. We were very mature in our responses and enjoyed learning about the huge positive impact that Barnsley Hospice has upon people in our local community and close to us.